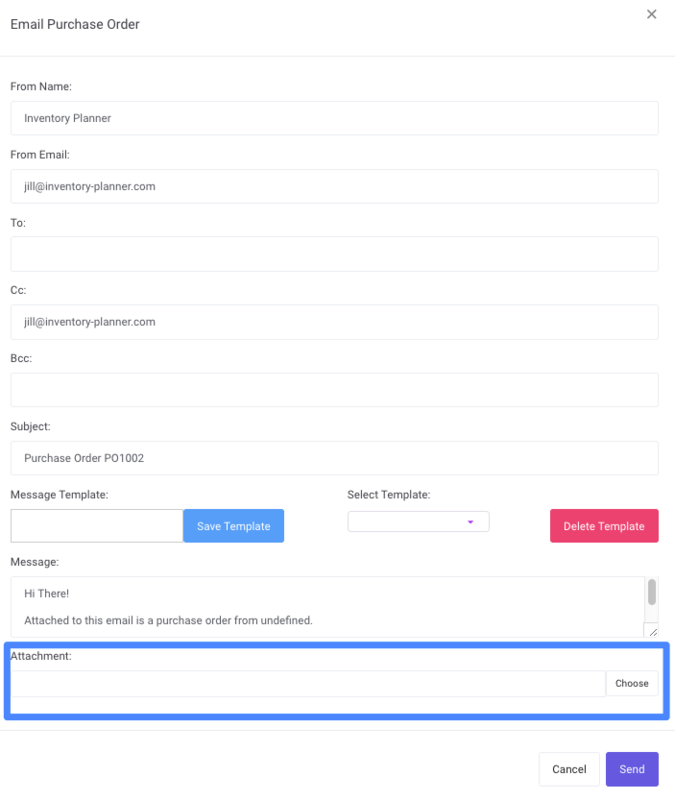 If you need to send additional information to your supplier, you can do this when emailing a purchase order from Inventory Planner. After creating the PO, save it, then click on Email. You can then add an attachment to your email.